100% cotton bag with PVC coating made by the lovely people at Ulster Weavers. Featuring Madeleine Floyd's Design. 100% cotton bag with PVC coating made by the lovely people at Ulster Weavers. 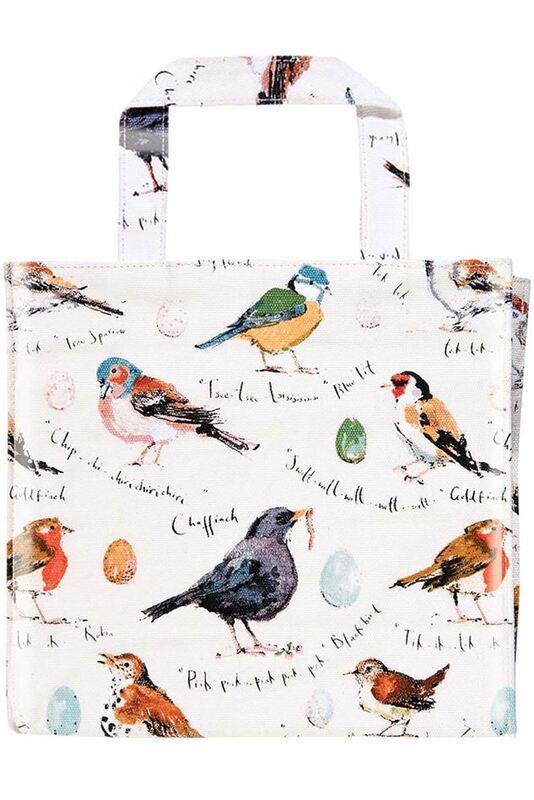 Featuring Madeleine's wonderful Birdsong design printed on a cream background. This small bag has space for all of those daily essentials. Simply wipe clean with a damp cloth. This useful bag has a magnetic clasp for closing and an inner zip pocket for keys and change.